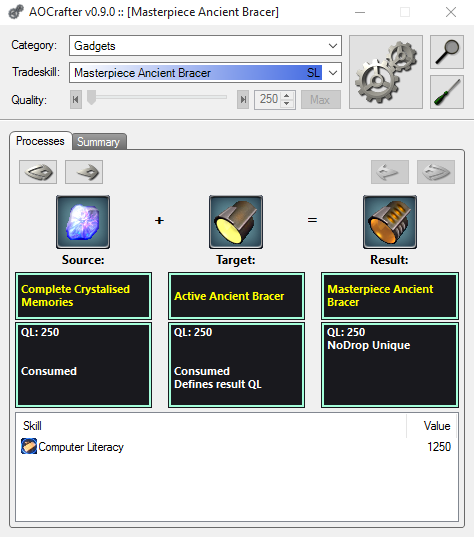 AOCrafter is a small tradeskill calculator that helps you figure out all the math involved with tradeskills. Calculates minimum required skills and items for the desired Quality Level (QL) of a process. Shows step-by-step breakdown with required tools, items and skills of many known tradeskill processes. Shows a summary of the minimum skills and QL of items needed for completing the entire process, including amount of items needed. Calculates maximum possible QL of process based on your skills.